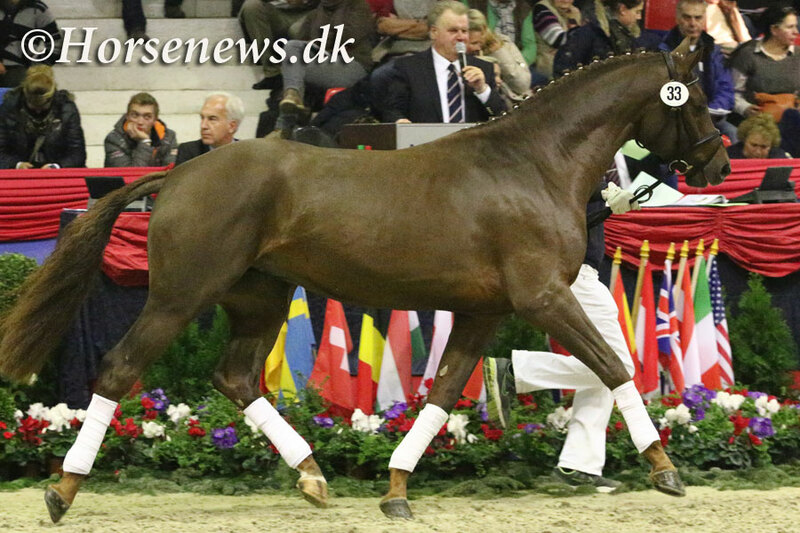 Gestüt Bonhomme in Werder, which is located just outside the gates of Berlin, purchased the Oldenburg Champion Stallion by Millennium/Trakehner-Rubin-Royal-De Niro, bred by Heinrich Vahle from Friesoythe and owned by Gestüt Sprehe in Löningen, for 755,000 Euro. 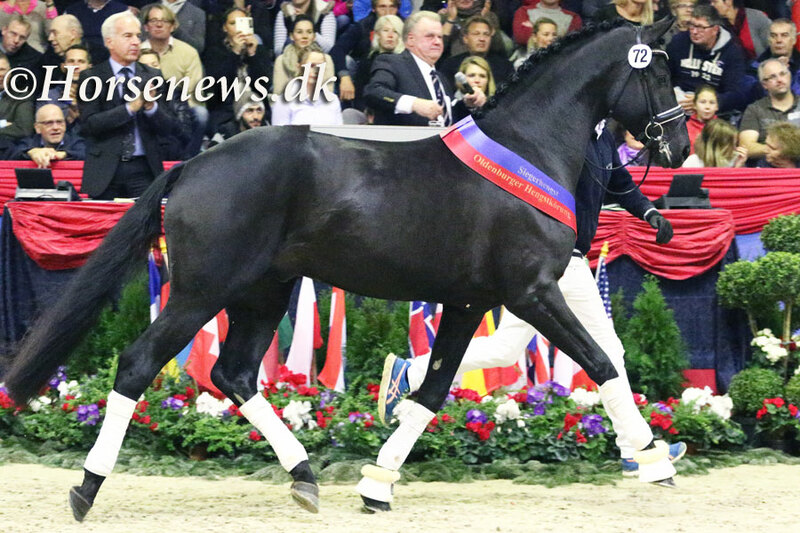 This gorgeous, noble, black colt received thunderous applause from the spectators in the sold-out Vechta auction hall when he demonstrated his strong movements. 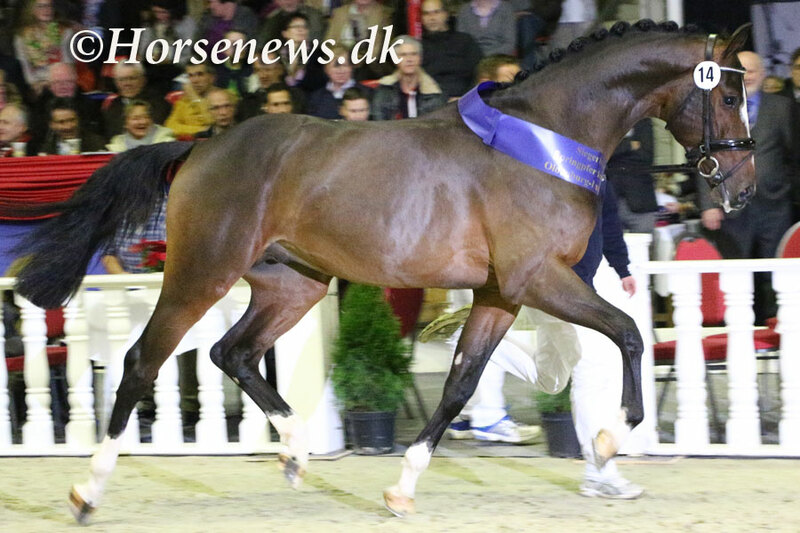 The interest for this spectacular horse was huge and the audience held their breath utill the last bid on only 5000 € more than the previous bid coming from partners Schockemühle - Bøegh Henriksen. Oldenburg’s high quality show jumpers were also very much in demand. Customers from China won a duel between bidders for the OS Champion Stallion by Coupe d’Or-Stakkato Gold-Landadel, a colt blessed with enormous jumping ability. This champion from the house of Sprehe was knocked-down by auctioneer Uwe Heckmann for 170,000 Euro. The Chinese customers were also delighted to be able to purchase two other talented jumper colts they had picked out in the collection. As always the prices for premium stallions were high, but among the remaining licensed stallions buyers made some really good deals. The best deal for a licensed dressage stallions was no doubt Kat. 69 by Fürstenball x Rohdiamant, bred by Clemens August Berding in Dinklage. From day one he didn´t place one foot wrong, showing 3 very correct gaites allways in self carriage with good hind legs moving uphill. 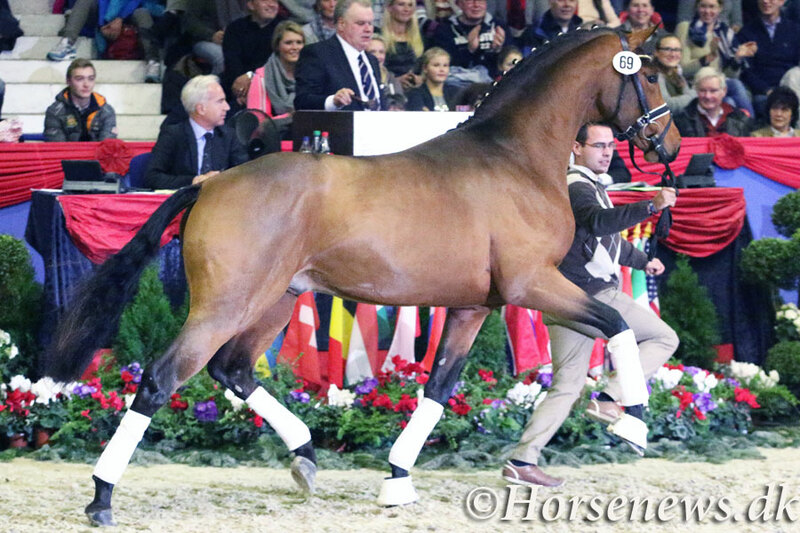 He was really cool and it was first after having been sold for 65.000 € he showed his huge potential, giving a perfomance in the arena with his owner from Thüringen. The best buy among the licensed jumping stallion was the charming and very supple dark chestnut kat. nr. 33 by Up to Date x Raphael. He was purchased for 30.000 € to China. The chaestnut colt was bred by Christoph Herdering in Heek and was presented at the auction by Stald Schwierking in Baver.